While I was in school for Creative Advertising (CAB) I made some life long friends, and 5 of us have stayed very close. During our program, Lillian (one of the 5) introduced us to one of her closest friends Alicia, and she very quickly became part of our group. 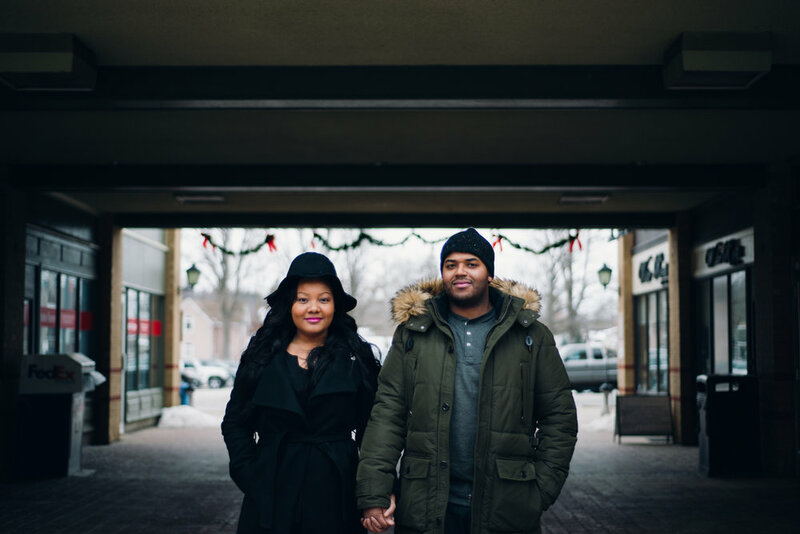 Needless to say I was beyond excited when I met her handsome man Arles and got to capture their engagement session! 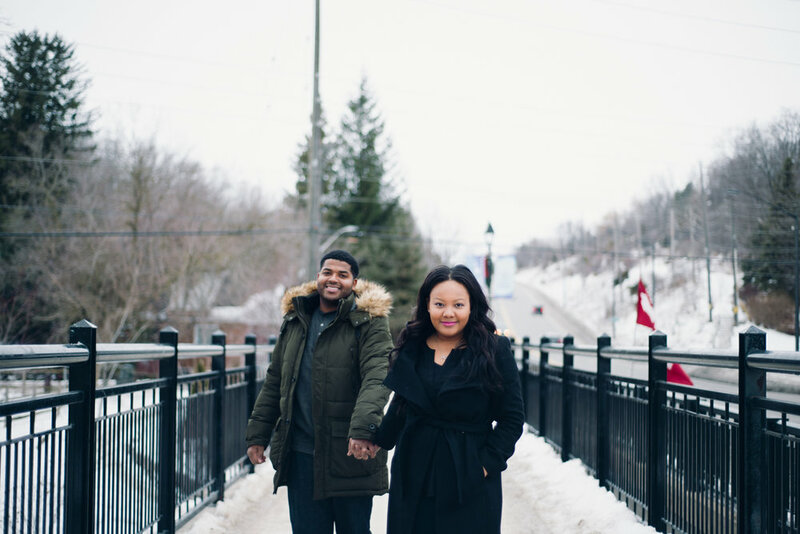 Now I need to preface this shoot with the fact that it felt like -30, because there's no way you'll believe me when you see how calm, cool and collected these two are in EVERY image! They had fun together, can joke and goof around together, which made my job a piece of cake. 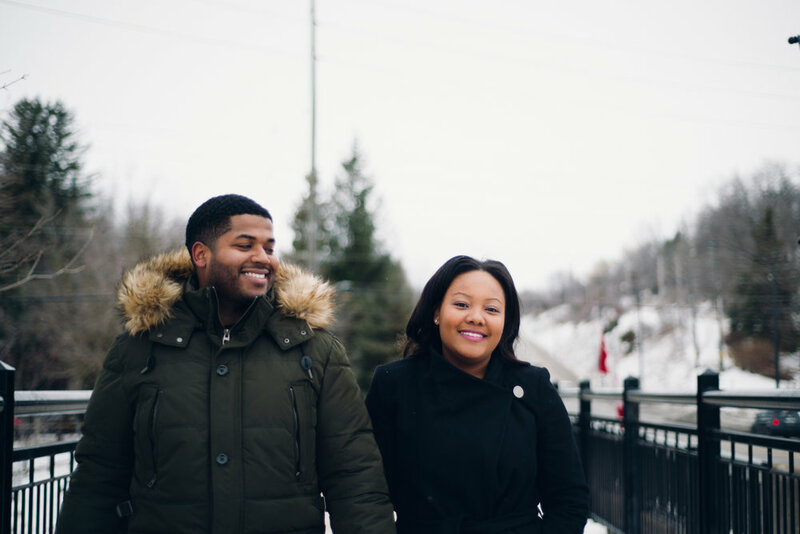 They walked around the old downtown of Bolton with me, while the wind pushed against us, and they made some really pretty portraits! 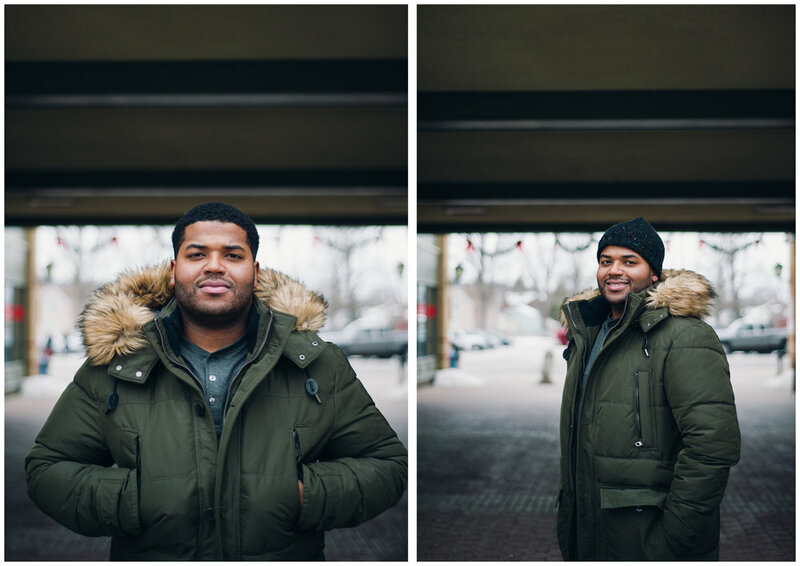 I also have to say, that Arles was quite possibly the most easy going, willing, groom-to-be i've ever photographed, you'd think he was stepping off a cat walk and walking right in front of my lens. 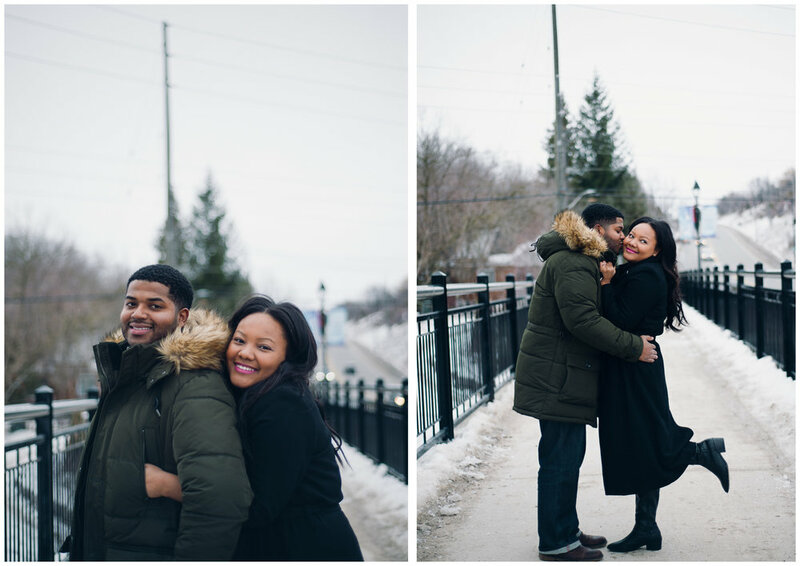 I really appreciate a man that enjoys an engagement shoot with his love, even when he's not used to the Canadian winter.